Although many individuals distribute eCards and photo postcards at Christmas time, traditional Christmas cards are still very popular. However, they have little worth past December 25th if you choose not to reuse them for other creative projects. Fortunately, there are a few charities that collect used Christmas cards, giving these seasonal greetings a second chance at life. If you're looking to donate locally, you can start by asking your local church or chamber of commerce if they know of any organization that may use the cards. Examples of programs that accept this kind of donation include the following. St. Jude's Ranch for Children accepts used holiday cards with a few exceptions. They cannot use any cards from Disney, Hallmark or American Greetings due to copyright laws. Visit their Recycled Card Program page or call (702) 294-7100 for more info. The Reusable Resources Adventure Center of Brevard County in Florida is an initiative of the Institute for Self Active Education, a 501(c)3 nonprofit organization. The center collects the front of used greeting cards and puts them to good use in creative art, construction projects and various learning activities. If your are interested in donating the front of your used Christmas cards to the center, give them a call at (321) 313-9591. 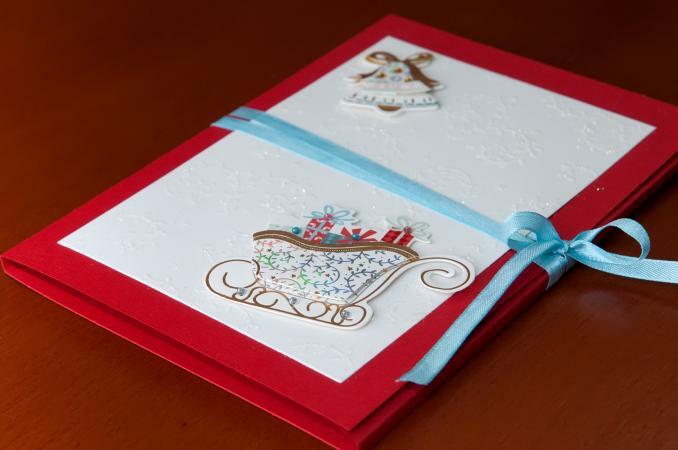 Age UK, which services the Chelsea and Kensington areas of London, is a volunteer-operated organization that accepts donations of used Christmas cards. Volunteers upcycle the donated cards they receive in order to make new cards to send to their members, who are people ages 55+ in need of services and health resources. You can take cards to their office, which is located at 1 Thorpe Close, London, W10 5XL. Alternately, you can call 020 8969 9105 to make other arrangements. 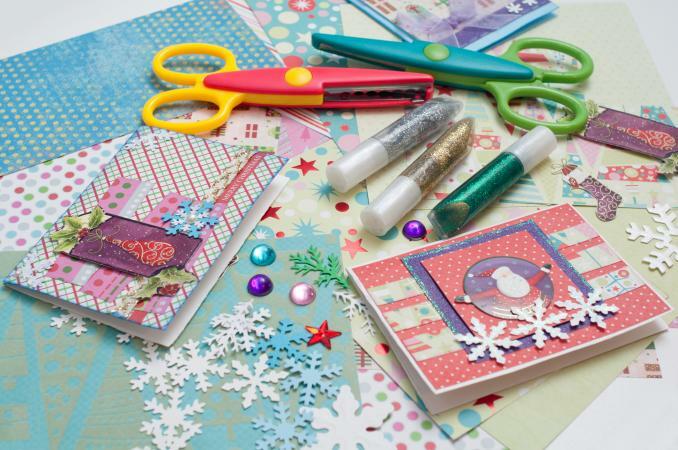 Another UK-based group, the Community Cards Project accepts donations of used holiday cards, as well as cards for other occasions, which volunteers use to craft new cards. The new cards are sold to raise money to help support The Welcome Centre in Huddersfield, which is a charitable organization that provides assistance to people who are experiencing crisis in their lives. They partner with various community and church groups to collect cards. Reach out to the group via their Facebook page to find out how you can donate. While not specifically a charitable organization, sometimes individuals and companies that teach arts and crafts lessons or that make upcycled crafts to sell, may accept this type of donation. For example, Casey Eckert, the owner of Earth Inspired Crafts and Education happily accepts such donations to use in workshops that she teaches about recycling and to create various items to sell, which can be viewed on her website. Eckert states, "I teach re-purposed workshops to kids of all ages (preschool to "seniors"), and we use greeting cards to make all sorts of cool projects! I also make and donate personalized birthday cards each month (using my calligraphy skills) to several nursing and assisted living homes and independent living centers. Residents at these facilities are overjoyed to see their names on special cards made just for them, and that sure warms my heart, too!" While her company is not specifically a charitable organization, Eckert does quite a bit of work that helps nonprofit groups and others. She states, "Most of the proceeds from the items I sell cover the materials for the workshops I teach and the volunteer programs. I also make custom, one-of-a-kind, personalized items and soon I'll be posting them on Facebook, etc." She asks that you mention LoveToKnow when you send in your donations. 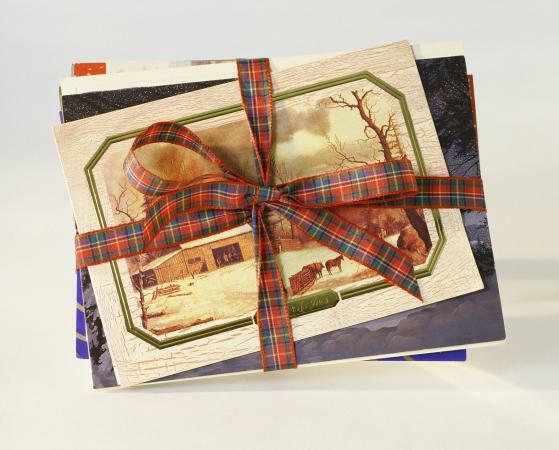 Used greeting cards can sometimes be donated to local prisons, rehabilitation center or other state-run facilities. These entities often have craft times where residents or inmates can refurbish the Christmas cards, either for profit or to pass the time. Many people do not think to donate to prisoners and those overcoming life struggles; so your donation could really brighten someone's day. Contact correctional facilities in your area to find out if they accept donations of used holiday cards. Schools often collect used greeting cards to use for craft projects and other purposes. For example, Whitman Elementary School in New Jersey has a request posted on their website seeking the front panels of used Christmas cards to use for making bookmarks for the children. Parents are asked to send donated cards to school with their kids. Check with schools in your local community to see if they have a similar donation opportunity. Charitable organizations that work with children, such as after-school programs or day care centers, often accept donated craft supplies. Since there are a number of great, kid-friendly arts and crafts projects, you may find one or more groups like this in your area that will be happy to accept old Christmas cards you wish to donate. Contact groups in your area such as the Boys & Girls Clubs of America organization or community-based local groups to ask if they can use your cards. Senior care facilities such as nursing homes, assisted living communities, and adult day care centers often accept donations of these types of cards to use in their recreational therapy programs. Contact these types of facilities in your community and speak to the staff member in charge of recreational therapy. Ask if they accept donated materials to use in craft projects with their clients. If so, find out if they accept Christmas cards to use for this purpose. You will want to review the submission guidelines to ensure the cards are appropriate for the cause. For example, cards that are overly crass or adult in nature are probably not ideal for St. Jude's, while ones with cartoons jabbing prisoners or alcoholics will not be suitable for rehab centers. Instead, try to stick with classy, traditional looking cards that any recipient will enjoy. Only make donations if they are currently being accepted. You will need to verify this information before donating via the group's website, social media presence or placing a phone call. Otherwise, the charity may become overwhelmed and eventually toss them out. Always do your research before mailing off your cards. That way, you will rest assured they are going to a worthwhile cause, and not getting dumped in the trash. Getting rid of your Christmas cards by donating them is a unique way to give back, and could really help an organization that will use them.